Bicol-based modelling agency Modelo Bikolano is widening its search for homegrown talents. 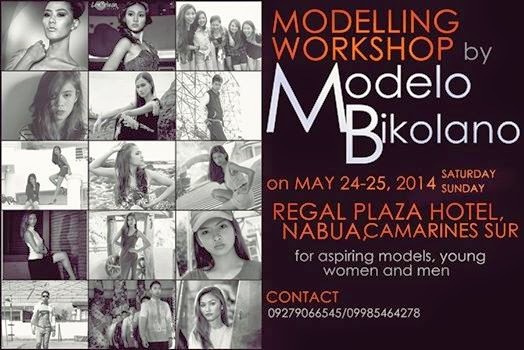 On May 24 to 25, it will hold a workshop for aspiring male and female models at the Regal Plaza Hotel in Nabua, Camarines Sur. Previously, Modelo Bikolano held workshops as well as fashion shows in Naga City.